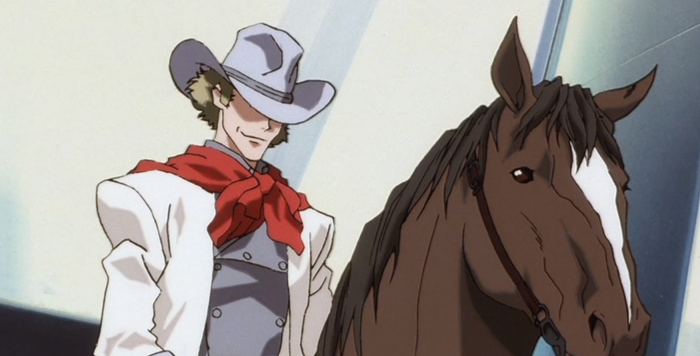 The twenty-second episode of Cowboy Bebop boggles the mind. 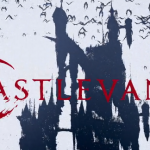 Breaking this episode down into its constituent parts invokes such absurdity, such utter and total narrative madness, that a reader might be inclined to think the show has finally done me in. Are the words that follow a symptom my diseased mind? Oddly, no. I am as sane as ever as I attempt to engage with what I think is a Cowboy Bebop offering an amateurish take on Marx and/or colonialism wrapped in a slapstick bow. I’d also like the record to reflect that I am giving the best breakdown of the episode I can manage. This effort is in spite of Cowboy Funk evoking a searing pain behind my eyes. I’m fine with a story pushing me out of my comfort zone, but Cowboy Funk is so intentionally bizarre, so tedious aforethought, that I struggle to see anything worth caring about in this episode. Okay, here we go. The episode begins with Spike almost capturing a serial bomber called the Teddy Bomber. He likes to put explosives in papier-mâché busts of Theodore Roosevelt and detonate them by flipping up a happy-face switch he wears in the fashion of a wristwatch. I’m lying of course, he puts his bombs in teddy bears. My thing only makes sense if you want to have something symbolic denoting American imperialism blowing up the establishment. It’s much more effective to put bombs in teddy bears as a modus operandi. Also, this reference will make more sense later in the review. I promise. For a change of pace, Spike doesn’t blow the bounty. He manages to capture the Teddy Bomber. Alas at his moment of triumph, Andy, a “rival” bounty hunter/scion of a wealthy family who dresses as a cowboy and rides a horse, shows up and attempts to arrest Spike for being the Teddy Bomber. The confusion leads to the building blowing up around Spike and Andy, and the Teddy Bomber getting away. The gang makes a second effort to capture the Teddy Bomber at a costume party – this after accusing Spike of beating himself up as a cover for losing their groceries and grocery money. Spike and Jet end up a hair’s breadth from capturing TB before Andy rides his horse out of an elevator and attempts to arrest Jet for being the bomber. Is everybody stupid in the future, or just the characters in this show? Faye takes off with Andy, presumably to rob him…or bang him…or bang him then rob him, moments after TB blows up the party. Spike, in his fighter, chases after Andy, who is chasing TB from atop his horse with Faye as his passenger. The ostensible chase for TB turns into Spike and Andy trying to kill each other. In the process, Spike and Andy unleash property damage that has to be valued at more than the ₩3,000,000 either one would have earned for TB’s arrest. We’re talking Michael Bay levels of property damage. The kind of property damage Edgar Wright would satirize in Hot Fuzz. Cowboy Funk comes to a head with a final showdown between Andy and Spike on top of a freshly bombed Martian city hall. After some very dramatic gun play/mutually attempted murder and then falling from crumbling concrete, Andy yields to Spike and retires from bounty hunting. Safely ensconced on the Bebop, eating Andy’s Andy-brand Son of a Gun stew (which Faye received as a parting gift for spending the night with Andy) Spike writes-off the entire conflict between him and Andy as being blown out of proportion. Despite what Faye and Jet might have thought about Spike and Andy as opposite sides of the same coin, Spike came to “realize” that he always outclassed Andy and their rivalry was no big deal. Meanwhile, on a train to prison, a guard asks the Teddy Bomber why he wanted to blow up buildings. TB tells us that he did so as a warning about the consequences of reckless colonization and capitalism across the solar system. Bombing property, but going out of his way to never kill people – despite putting bombs in toys that would probably attract children – was a means of questioning capitalism that exists absent a philosophical grounding. TB’s fourth and most successful attempt to explain his manifesto is interrupted by none other than Andy. He rides past the train now dressed as a samurai. 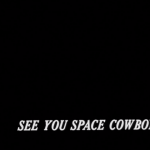 The episode ends with a title card saying, “See you Space Samurai.” That sound you are hearing is me punching myself in the face to see if I still feel anything. If a joke can be a motif, then this episode’s motif is that Spike and Andy are, fundamentally, the same person. Except that doesn’t make any damn sense. 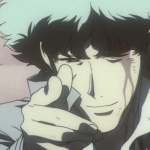 Spike might not be the best at his job, but Bebop typically goes out of its way to show the audience the extenuating circumstances that stop Spike from claiming a bounty. Andy, in comparison, is grotesquely incompetent. The only reason Spike aligns to Andy in Cowboy Funk because the writing is holding Spike hostage for what it imagines to be a very clever running joke. The joke only works if the audience is completely new to the show or is as pants-on-head stupid as Andy. 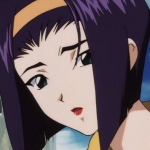 Case in point: in the very first episode of Cowboy Bebop, which feels like a lifetime ago at this point, Jet reminds Spike that they are poor because of the collateral damage Spike wrought on a mission. There’s a sense of consequence to Spike’s actions, and a clearly established first principle on why Spike doesn’t lead with his guns. This episode absolves Spike of any such responsibility. We could also talk about how this episode reduces Spike to a would-be murderer. We know that Spike has a past with the Syndicates. Sympathy for the Devil alludes to Spike and Vicious getting up to some shady things together. It’s also clear that there’s a bracket around Spike’s old life. He is on the Bebop to run from that past (except for when he goes charging toward it). What in that profile says he would kill another man over a fit of pique? Sure, Andy is annoying as hell, but Roco was no better and Spike didn’t answer him with gun play. Why should we buy into it with Andy? This is where Faye showing up to remind the audience that Andy and Spike are the same is, at once, necessary glue for the episode and a childish attempt at a Jedi mind trick. It’s true that their actions mirror each other during the fight on city hall. There is a bottomless causality pit in trying to figure out who started the fight and who escalated it. Every camera shot casts them as mirror opposites of each other. The episode’s ability to reinforce the spoken dialogue through a kinetic fight sequence, one whose style presages the late 2000s fixation on free running and parkour during action sequences, is very well done. This is storytelling is on a textual and sub-textual level. The problem is that the episode is telling a stupid story and it knows this particular tale emerges directly from the bowels of C-list ideas. So way to commit to the bit, I guess? To suggest after twenty-two episodes that there is some equivalence between a professional, who fails because of extenuating circumstances, and a blithering idiot, who is just the worst, means that the fundamental building blocks of the series’ protagonist are wrong. Thus, the entire show, as a consequence, is wrong and is fundamentally meaningless. What’s worse is that Cowboy Funk takes TB’s very good question about empire building and capitalism without philosophy, something we have seen this show hint after, and upstages it with Andy’s meaningless and privileged persona of the week. Hey, maybe this show does get capitalism after all. Nevertheless, one gag does not absolve writing that is largely facile. Maybe this episode is the broader consequence of a structural theme that, despite its pretense toward being Space Jazz, is ultimately little more than a projection of the social and economic anxieties of the 1990s mapped on to the 2070s. I’ve noted before that I see Bebop as “status quo punk.” We’ve seen evidence of the social ills that are produced through the doctrine of endless growth on Callisto, Io, Ganymede, and Mars. Yet we’ve not once seen Bebop offer a single idea for change beyond the paradigm. Then again, why should I expect growth from the show’s ideas when it can’t even manage character growth? There’s no denying the show is deft at capturing the ideas of its time on screen. But I’ll say to Bebop the same thing I say to my interns when they give me a one word answer: give me a little bit more.